After drivers killed two cyclists in the district last month, Manhattan Community Board 4 is reiterating its request for DOT to install protected bike lanes on crosstown streets in Chelsea and Hell’s Kitchen. Dan Hanegby and Michael Mamoukakis were hit by charter bus drivers in crashes on W. 26th Street and W. 29th Street, respectively. Hanegby was sideswiped by a driver who was attempting to pass him from behind. The driver who hit Mamoukakis was making a turn. There are no bike lanes where Hanegby and Mamoukakis were killed. Both crashes occurred on streets where charter bus traffic is legally prohibited, but drivers for the charter companies routinely stray from the designated routes they’re supposed to use. Available evidence also suggests both victims had the right of way and did nothing against traffic rules, yet neither driver was charged by NYPD or Manhattan District Attorney Cy Vance. Vance’s office did not respond to a Streetsblog query concerning the investigation into Mamoukakis’s death. The lack of safe east-west bike infrastructure in Manhattan has become all the more apparent as protected bike lanes have grown on north-south avenues. But despite fatalities like the collision on 29th Street that killed Marilyn Dershowitz in 2011, DOT hasn’t developed a plan to protect cyclists from traffic on Manhattan’s crosstown streets. Last week, the CB 4 transportation committee sent letters to DOT [PDF] and NYPD [PDF] asking for street design changes and more stringent bus enforcement. 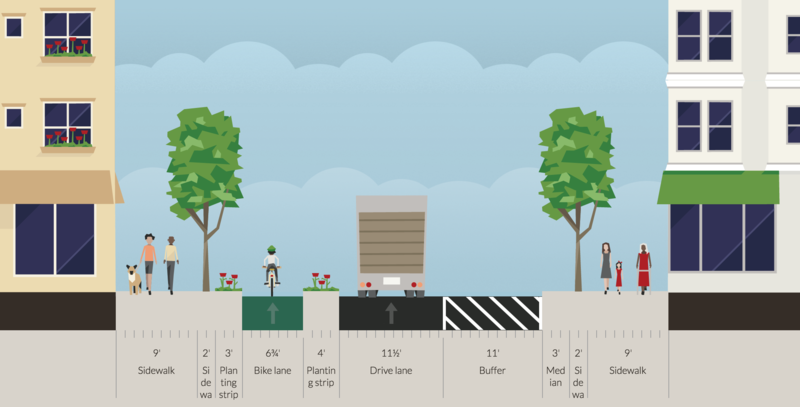 Since 2014, CB4 is on record for requesting that crosstown protected bike lanes be studied. 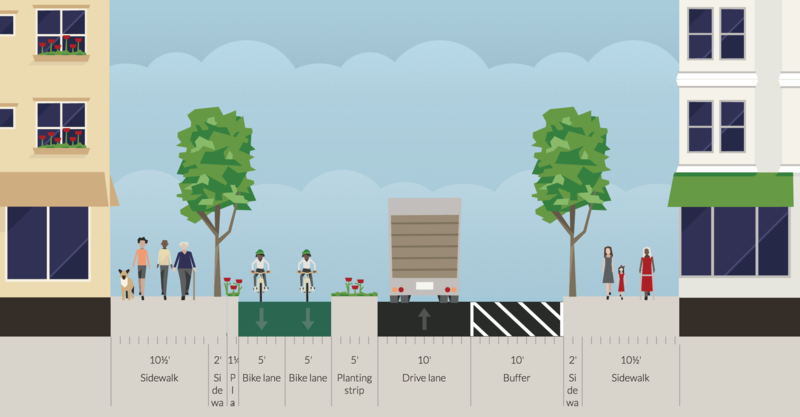 Without crosstown protected bike lanes to connect to the network of north/south lanes, riders are in great danger on the cross streets due to the narrowness of the streets or the intense congestion on some of them. Neither painted bike lanes or sharrows are adequate to protect riders’ lives since they allow for double parking and for drivers to overtake the lane. Since the June fatalities, City Council transportation chair Ydanis Rodriguez and Transportation Alternatives have also called for protected bike lanes on crosstown routes. Other steps suggested by CB 4 include moving intercity bus stops to the far West Side, and tying the issuance of operating permits to bus companies’ safety records. In a letter addressed to Police Commissioner James O’Neill, CB 4 asked NYPD to meet with board members and the public to “discuss these issues and share the measures [the department] will take” to prevent crashes. The 10th Precinct, where Mamoukakis and Hanegby were killed, responded to Hanegby’s death by ticketing bike riders. East 39th Street too please—the current state is horrendous, a terrible, disorganized, congested connection to Midtown from the 1st Ave PBL. I haven’t been many places outside the U.S, but I have been to Italy. Their car-free areas far exceed ours. In Assisi, you park in a parking lot near the police station outside town. There is one street that accepts selected motor vehicles. The rest are pedestrianized. They have small delivery vehicles and public safety vehicles that can fit down the streets. What exactly is the point of Cy Vance? The 21st street bike lane is almost ok minus the block between 2nd Ave and 3rd where the cars park out perpendicular to the sidewalk at the police station and there is construction. You pretty much have to get off and walk all so 15 or so cars can have parking. Honestly, all cross town streets are painful though. Cars are frustrated they move so slowly they can’t help but creep ( or turn quickly ) into your lane, despite the red light ahead. Then you have to weave around them again. On 39th they’ll pass you and immediately turn into your lane as they break for a red light. At the red light they’ll sit in the bike lane to try to pass the car in their lane, unsuccessfully. Most times they center themselves between parked cars ignoring the bike lane all together. I wish they did deliveries at night and limited the cars. It’s really dangerous. Most congestion is coming from delivery trucks trying to unload and single occupied vehicles driving to a parking garage. Multiple cross town protected bikeway would be fantastic. You’d have to make the other side of the street pretty generous for deliveries. some community boards are actually right on..
CHEK’, get with the program! The official strategy for confronting “bad” (for lack of a better term) community boards is to criticize them all universally. 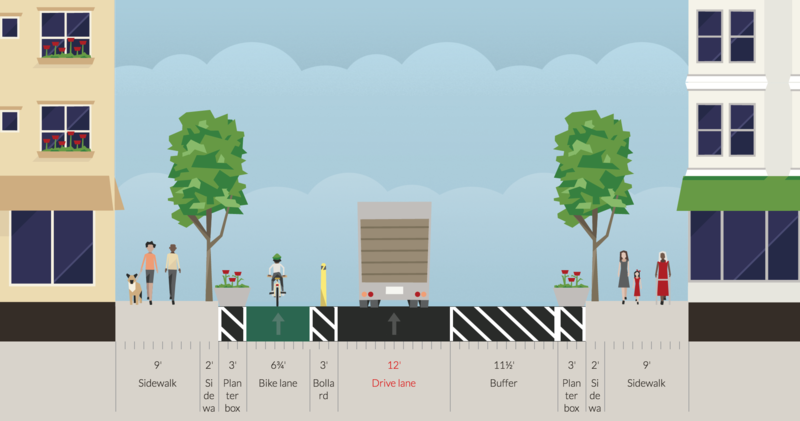 CB 4 has been asking for protected crosstown bike lanes for years. DOT needs to respond and make it happen. We are dying out here. This would be awesome, but the lack of curbside parking makes it unlikely. But if we changed the buffer to parking it might fly. I love the Planting strip! Transportation Alternatives. If not Streetsblog itself, a majority of the commenters. I was being facetious, by which I mean that I am agreeing with you. The driver hit Mamoukakis while turning onto W. 29th Street, where buses are prohibited by city traffic rules. No charges have been filed by NYPD or Manhattan DA Cy Vance. Safe streets advocates have for years implored DOT to add east-west Manhattan bike lanes in the area where Hanegby was killed, but the city has failed to act. A man in a Mercedes SUV doored a 67-year-old man on a bike, who was then hit by a truck driver and had to be hospitalized. City Hall reported 56 pedestrians and cyclists killed by city motorists through June, and 6,915 injured, compared to 65 deaths and 7,252 injuries in the first six months of 2016.